Apparently has really good hands.. used to be a DL so you know JS loves THAT. A bit surprised here but they say hes a really good blocker. #1 Rated Blocking TE in the draft... yes college still has those kinds of players apparently. This is all about running the ball. I like Dissly as an attempt to get back to a well-rounded, classic Y TE that can and WILL block, and can get out for some routes when he's needed. 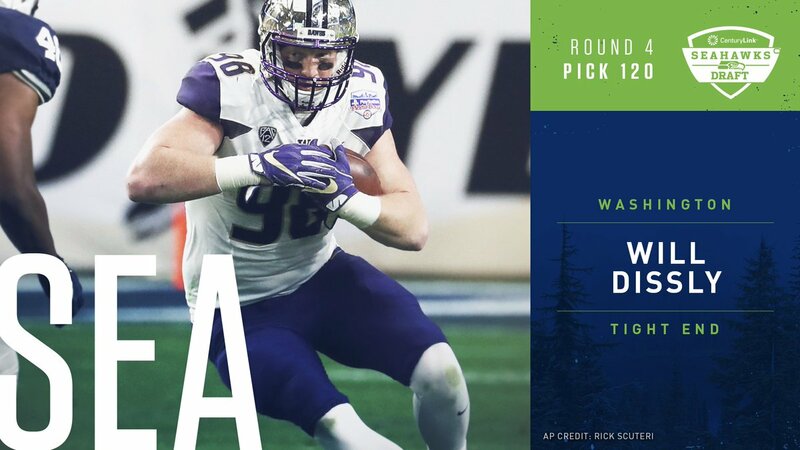 He's the closest thing we've seen to Zach Miller 2.0 in Seattle. I like this even more when we consider Shotty likes two TE sets and we picked up Dickson in FA. Dickon's not all that impressive at run blocking, but great at pass blocking and being a safety valve. The two should complement each other well if Dissly can see his way onto the field in these types of packages.